SW Portland has a lovely secret garden in an old, elegant neighborhood. I will not identify it here because it is a somewhat untrammeled space with neighbors who might like to keep it that way. On an early September afternoon, I had the pleasure of working with Sara and Kathleen and their wonderfully attentive crowd of family and friends. 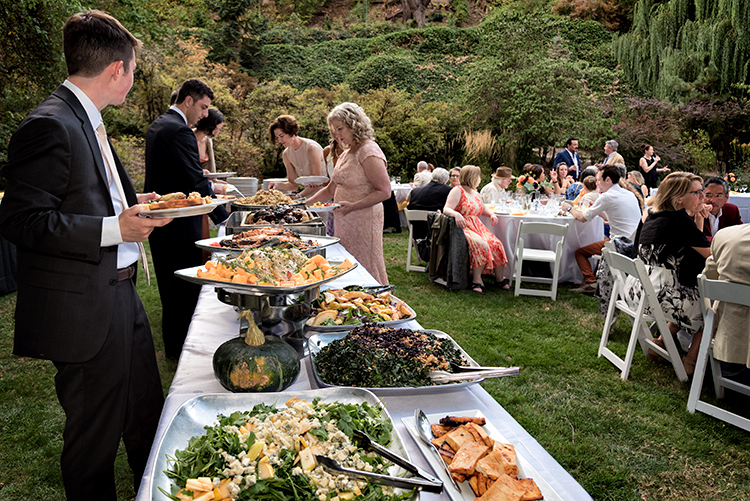 Anyone peeking into that garden was seeing a sumptuous feast and a lot of relaxed, friendly conversations… a perfect combination. As the day moved towards twilight, the toasting glasses waved in the softer light. 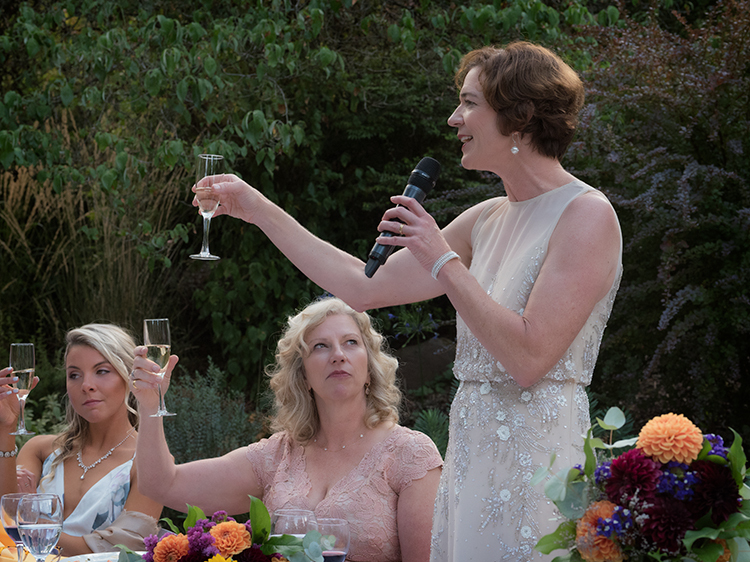 At any wedding, you can gauge the deep friendships as you listen to the little gasps and laughing during the toasts, especially with an open mic. This couple has earned the love of their people and it was great to witness that. At the end of the day, #LoveWins is not just a hashtag. It is an abiding truth and no one should have the desire or the power to interfere. 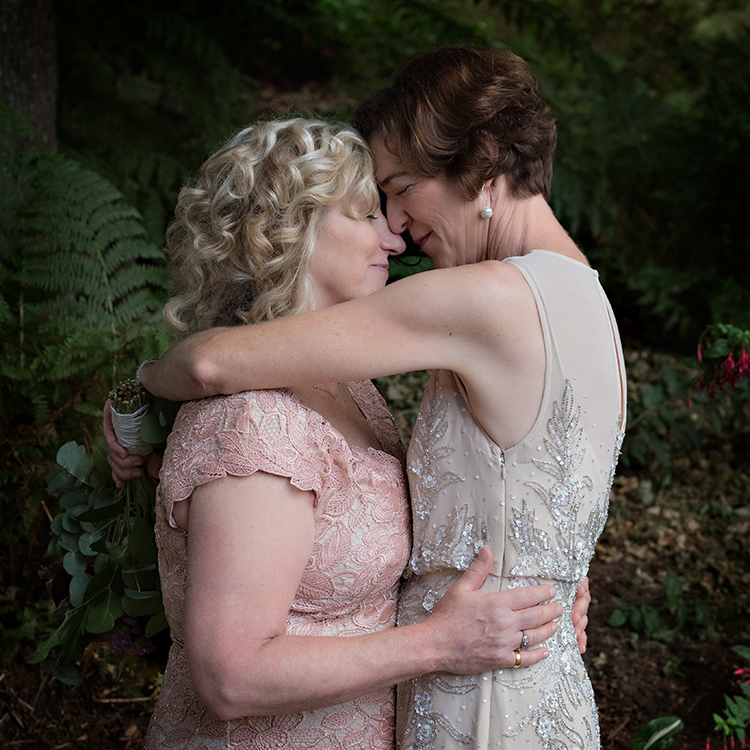 This entry was posted in Wedding Posts and tagged elegant, family and friends, garden weddings in Portland, marriage equality, Portland Wedding Photographer, Portland weddings in parks, september, wedding toasts on January 24, 2019 by admin.